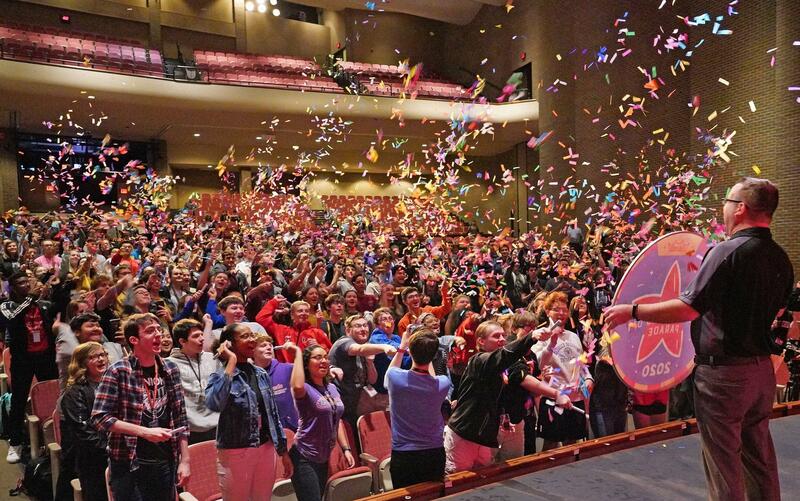 The Union Public Schools’ Renegade Regiment, was selected to perform in the 2020 Macy’s Thanksgiving Day Parade, representing the state of Oklahoma. This will mark the second Parade appearance by the band, having previously appeared in 2013. The Renegade Regiment will join the Parade to the call of “Let’s Have a Parade,” the iconic phrase that has signaled the start of every Macy’s Thanksgiving Day Parade since 1924. Each year, the Macy’s Parade Band Committee looks for bands that have the stage presence, musical and marching abilities to captivate more than 3.5 million live spectators and more than 50 million viewers. The Renegade Regiment was selected from more than 100 applicants as one of nine selected bands to march in the 94th edition of the annual holiday spectacle.